To be released August 2nd, 2019 on “Mighty Music.dk”. It will be available on cd, vinyl, digital download and streaming! Debonair Music Hall-August 2nd, 2019. 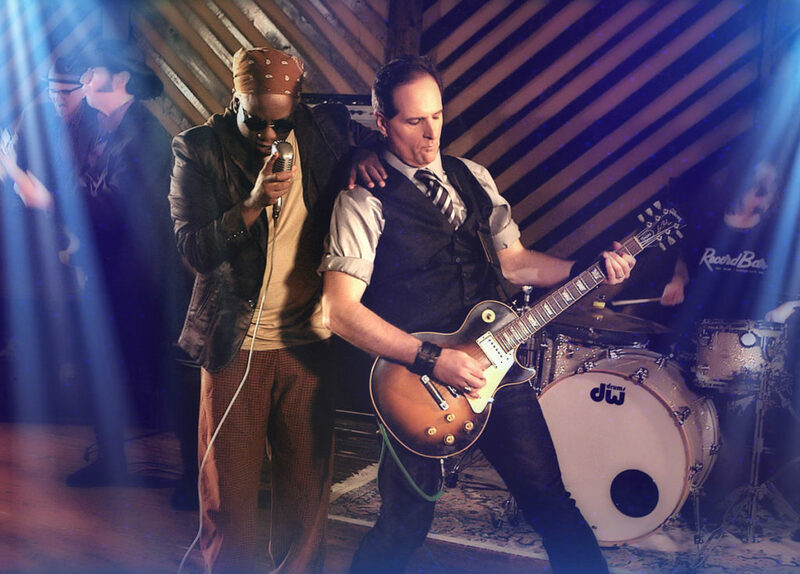 Stephen DeAcutis aka “Stevie D” producer/mixer/musician has teamed up with grammy award-winning singer “Corey Glover” to create a modern day classic rock album “Torn From The pages”. DeAcutis is a full time mixer/producer and the owner operator of Sound Spa Productionʼs in Edison NJ. Not only is Stevie D a proficient studio technician he is a world class multi instrumentalist and writer/performer. States DeAcutis, While writing and recording “Torn From The Pages” I could think of no one more suited for the vocal tasks then “Corey Glover” whoʼs talent incorporates 360 degreeʼs of God given musical abilities, So when Corey agreed to my invitation needless to say I was thrilled. Coreyʼs soulful and powerful vocal performances cap off a solid and consistent song oriented offering that will keep your attention from beginning to end with itʼs collection of heavy and soulful rock, Beatle flavored Pop and even touching on a bit of funk and smokey blues, while maintaining solid hooks throughout. The record is quite diverse and dynamic but still maintains a consistent sonic stamp. “TFTP” covers a lot of emotional territory top to bottom from the righteous and uplifting message in “Now Or Never” to the heartfelt and personal gospel-esque ballad “Haunted” the record will resonate on an emotional level to all who have lived through lifeʼs hills and valleys.